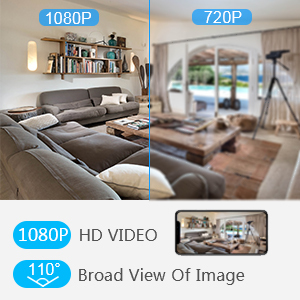 【1080P HD Images and Night Vision】1080P full HD technology, the WiFi camera provides you with a clear picture quality to see the situation at home. The 8 pcs of 940nm infrared lights offer a 30-foot visible range in the dark, giving you a super night vision experience. The night vision function not only can be adjusted automatically according to the ambient light level but also has a fixed day or fixed night vision image. 【Sound & Motion Detection】This security camera has an AI humanoid detection that effectively filters out invalid alerts. 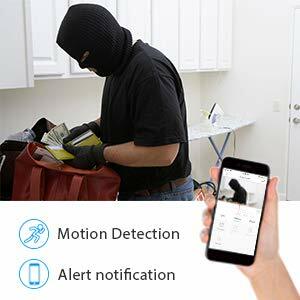 When a sound or action is detected, an alert notification is pushed to the phone to help better detect family actions such as baby crying, pet calls or thieves. Make you feel at ease when you go out. 【Two-way Talking & Live Video】Support two-way voice real-time calls, such as face-to-face. Have a warm conversation with your family whenever and wherever you want. 【Video Playback and Share】You can play back the video at any time to know the missed shots. The camera can be attached to the wall, adjust the camera to a right angle and capture the entire room. And You can also share all the good moments with your friends and families. 【Easy to Install】Using “+” via CloudEdge App on your mobile phone and follow instructions step by step, no complicated setting needed. When it is connecting please wait a few seconds patiently. Important tips before connection: IP/Network-2.4GHz Wireless(Incompatible with 5GHz), make sure your mobile phone is connected with the same 2.4G wifi. It needs to power up all the time when record. No matter what kind of object is moving, will it sound an alarm? This IP camera features AI humanoid detection that only senses objects with temperature and effectively filters out invalid alarms. So it won't bother you easily. Is the Sound or Motion Detection function different from other Security cameras? Comparing with other security cameras, the Sound or Motion Detection of Security Camera can be adjusted to low to high sensitivity depending on your needs. If the sound level or motion amplitude is lower than the set value, no alarm will be sent. 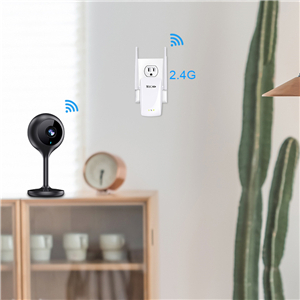 The WiFi camera is only compatible with 2.4G WiFi network. Not support 5G WiFi. If you use 5G WiFi, the software will detect it and tell you to replace it with 2.4G. After-Sales Service: Customer's common problems can be checked in FAQ of the App, and product problems can be direct feedback to the engineers, only need to fill in your email and wait for the reply. 1080P high-definition video and 110 degrees wide viewing angle, make you see the image clearly at night and see every corner of the home. 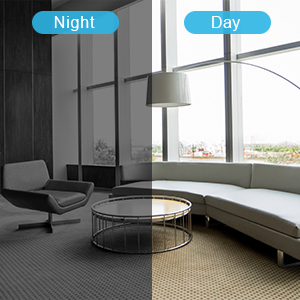 You can choose three Day night mode : ①Automatic; ②Daytime(color image); ③Night(black and white image), The default is automatic, choose any mode according to your needs. 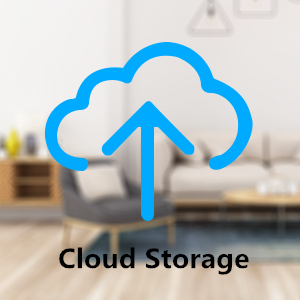 Cloud Storage can avoid the risk of losing video flips from the micro SD card, ensure all your videos are safe and protected. Free for the first 7-day for Alarm Recording. Supports up to 128GB Class10 microSD cards with FAT32 format. Doesn't come with a card. You can insert the card after powering on Wifi Camera. 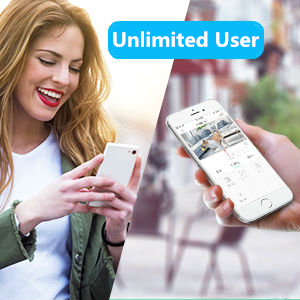 Unlimited user for Smart Camera to share and view on app. It's very easy to share the home cameras to family and friends, shared the app with family - they can check in on your pets, kids, or elder anytime.